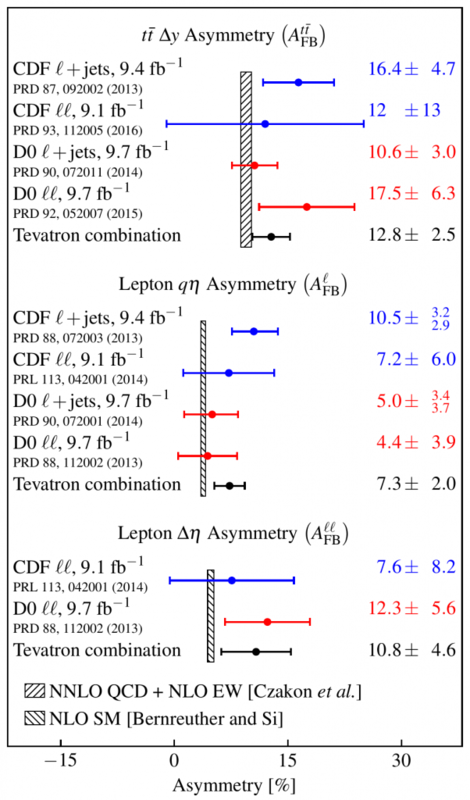 Over the last decade, measurements by the CDF and DZero collaborations of how top quarks flee the scene of the crime, the so-called “forward-backward asymmetry,” caused quite a stir as they clashed with then state-of-the-art theoretical predictions for the Tevatron. The disagreement tantalized physicists with visions of new, unexpected particles influencing the behavior of the top quark. Now, with the final, combined word from the experiments, Fermilab has placed a capstone on its study of the forward-backward asymmetry, and the measurements and theory now agree. The asymmetry quantifies the direction of the top quark as it flies out of a proton-antiproton collision in which it appears with its partner, the top antiquark. For the top quark, “forward” is along the original direction of the proton, and “backward” is the opposite. To get the whole picture, both CDF and DZero measured the asymmetry in several different ways, sometimes with results that at first appeared inconsistent. In parallel, the effort to understand this unexpected phenomenon produced significant advances in the techniques used both to measure and to predict top quark interactions, thereby pushing the field into a new, high-precision era. This table summarizes the forward-backward asymmetry measurements in top quark-antiquark events at the Tevatron. 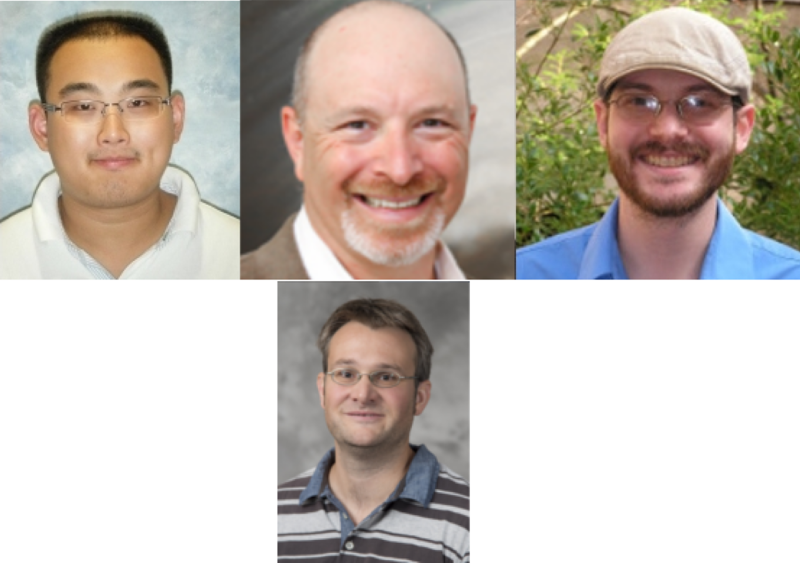 Recently, the CDF and DZero collaborations completed an intense effort to combine their asymmetry measurements, carefully taking into account the statistical relationships among them. In addition to producing more precise results, they were able to reconcile the differences among the measurements as well as with updated theoretical predictions. The final set of asymmetry results was released and accepted for publication in Physical Review Letters. The summary is shown in the figure. The consistency and precision of the reported measurements represent a true legacy of the Tevatron program.